Today, on the occasion of the International Anti-Corruption Day, the EULEX Head of Mission Gabriele Meucci met with the Head of the Kosovo Anti-Corruption Agency, Mr. Hasan Preteni. As part of its mandate to Monitor, Mentor and Advise, EULEX is supporting Kosovo Police (KP) in conducting operations to disrupt illegal logging throughout Kosovo. The International Day for the Elimination of Violence against Women on November 25th begins a global 16-day campaign that aims to bring together societies in fighting gender based violence. EULEX participates in 16 Days of Activism against Gender Based Violence. On 13 November, EULEX attended the graduation ceremony of 25 new officers of the Kosovo Correctional Service (KCS) at the Kosovo Academy for Public Safety (KAPS) in Vushtrii/Vučitrn. EULEX is supporting Kosovo Police (KP) in including Intelligence Led Policing (ILP) to its repertoire of policing methods. On 28 October 2015 EULEX Head of Mission Gabriele Meucci visited the Constitutional Court and met with its President, Mrs Arta Rama-Hajrizi. On 22 October, the Head and Deputy Head of Mission had the pleasure of welcoming the incoming OSCE Heads of Mission to Skopje, Ambassador Nina Suomalainen, as well as the OSCE Head of Mission in Kosovo, Ambassador Jean-Claude Schlumberger. In response to the refugee and migrant crisis, the EULEX Mission in Kosovo has sent humanitarian aid to provide immediate relief for transiting refugees and migrants currently in Serbia. 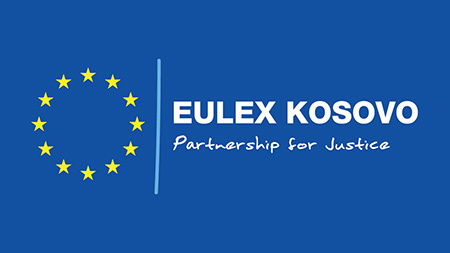 The EULEX Strengthening Division has committed to facilitating two workshops on prisoner assessment as part of its agenda to support Kosovo Correctional Services (KCS). A workshop focusing on strategic planning and management of Kosovo Correctional Services (KCS) was facilitated by EULEX Strengthening Division from Monday 31 August until Thursday 03 September in Lipjan/Lipljan Correctional Centre and High Security Prison in Podujevë/Podujevo. On the occasion of a visit by a delegation from the Netherlands National Police, EULEX organized an informal discussion on the role of women in the Kosovo Police force..
Gray, concrete t-walls surrounding one of the EULEX compounds in the outskirts of Pristina towards Fushë Kosova / Kosovo Polje turned into canvas. Two local artists shaped the street art project. Today, eighteen law students from the Pristina Law Faculty had a firsthand opportunity to partake in the process of delivering justice in a courtroom. EULEX donates fourteen vehicles to the Kosovo Judicial Council. A first donation of fourteen vehicles was handed overt today to the Kosovo Judicial Council by EULEX representative,Julien Feuillet. On 30 May a lecture was organised for first year medical students in forensic medicine and anthropology. EULEX implemented a seminar on the rule of law and the judicial process for a dozen and a half students at the International Business College (IBCM) in northern Mitrovica. On May 28 and 29, prosecutors and members of Kosovo Police (KP) participated in a two-day Police and Prosecutor Response to Domestic Violence in Kosovo workshop organized by EULEX. 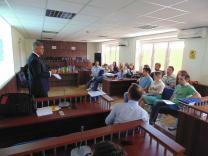 On 22 May, EULEX organized a specialized workshop on War Crimes. It was attended by three local prosecutors, as well as six local legal officers from the Special Prosecution Office (SPRK). The Center for Peace and Tolerance in co-ordination with EULEX, organised a seminar at the EU Info Centre in northern Mitrovica. EULEX held a workshop on Enhancing Investigation Techniques for Corruption Cases yesterday in Pristina. On 07 May 2015, a group of 22 students studying international and European law at the University of Groningen visited EULEX on their study trip in Kosovo. Prosecutors fill a unique role in any judiciary system. Their primary responsibility in the judiciary architecture is to ensure admissible evidence in criminal proceedings in order to present cases to the Courts. On 10 April 2015, a group of 30 students from American University Brussels Center European Union Program visited EULEX on their study trip around Kosovo. 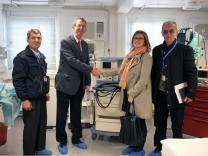 Today, EULEX handed over medical equipment including a sterilization autoclave, a Compressor nebulizer, an ICU ventilator, a patient monitor and an anesthesia machine to the University Clinical Centre Pristina as donations. Federica Mogherini, High Representative of the European Union for Foreign Affairs and Security Policy/Vice-President of the European Commission arrived in Kosovo on 26 March for a one-day visit. On 13 March 2015, a group of 15 political science students from Danish universities visited EULEX on their study trip around Kosovo. On 10 March 2015, The Head of Rule of Law Mission in Kosovo (EULEX), Gabriele Meucci visited the Basic Court of Mitrovica, which currently is located in Vushtrri/Vućitrn Court premises. Every year on 8 March, International Women’s Day is a time to reflect on progress made, to call for change and to celebrate acts of courage and determination by ordinary women who have played an extraordinary role in the history of their countries and communities. Most criminal offences require what lawyers refer to as "mens rea", which is simply Latin for a "guilty mind" or intent to commit the crime. More than sixty students of the Law Faculty at the University of Pristina had the opportunity to gain first-hand knowledge from a team of EULEX prosecutors, judges and legal officers on court procedure. The main trial against five defendants accused of various terrorism related offences started on 11 February, at the Palace of Justice. It all started with the initiative of a group of six internationals working with both EULEX and OSCE in taking on a gruelling physical challenge to raise money for a cause important to every person living in Kosovo. On 22 January EULEX Head of Mission Gabriele Meucci and other senior mission members held their regular monthly meeting with the representatives of EU Member States and EULEX Contributing States at the mission's Headquarters in Pristina. Modern policing involves far more than modern equipment and technology, it involves a whole new way of thinking. IBM Crossing Points: shorter queues, less smuggling, more revenue! Thousands of residents of Germany, Switzerland, and other Western European countries return to Kosovo every summer to visit family and friends. During the summer, Pristina Airport is teeming with visitors who enter Kosovo without major problems.